Welcome to the new website for the SuperDARN Scheduling Working Group (SWG). Please visit the links on the side menu for additional information about the SWG and its function, how to request an experiment, membership, scheduling overview plots, a database of past/present schedules, and open issues being considered by the working group. ATTENTION: A new Github repository (https://github.com/superdarn/schedules) has been created to host the final monthly SuperDARN schedule files. Schedules will continue to be uploaded to the Dartmouth SWG website for the next few months, however after the 2019 SD workshop future schedules will be distributed via email and uploaded to the github repository only - so please adjust the web address used by your automated scripts accordingly. Overview Plots - Now Available! 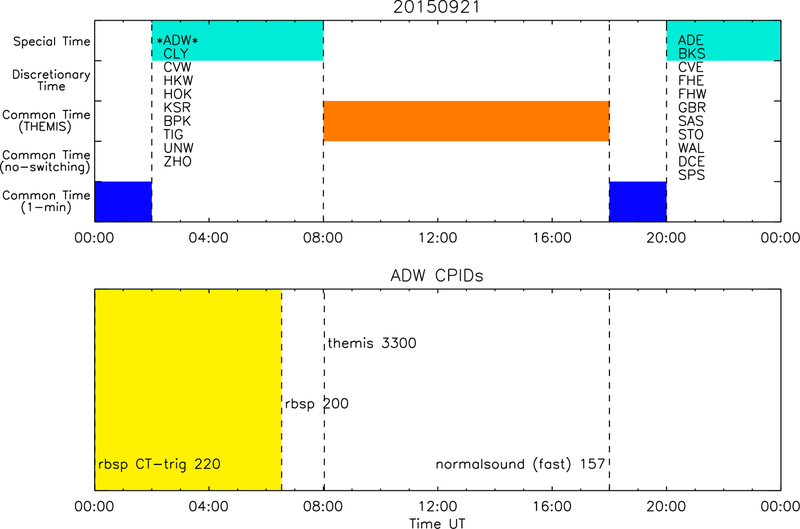 Figure: Sample overview of daily radar operating schedule (top) and actual Control Program IDs (CPIDs) implemented at the site (bottom) for the Adak West (ADW) SuperDARN radar on 21 September 2015. Click "Daily CPID Overview" on the side menu bar for more info! Figure: Sample overview of monthly radar operating schedule allocation. 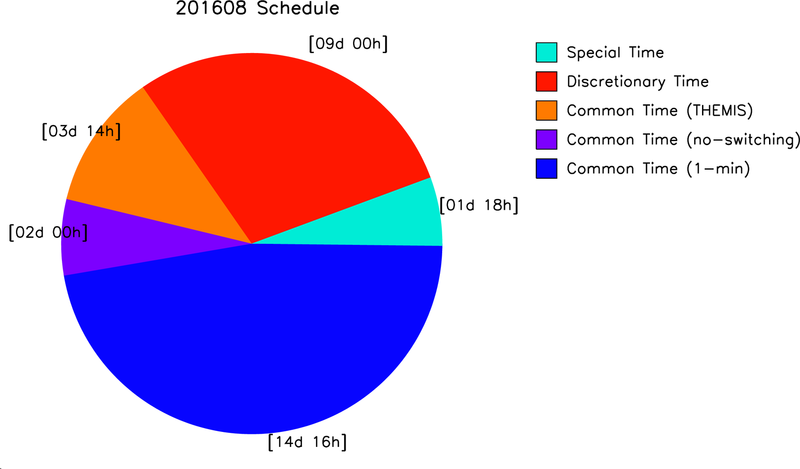 These allow users to track the distribution of Common Time, Special Time, and Discretionary Time at a glance for years 2008-present. Click "Monthly Schedule Overview" on the side menu bar for more info! This material is based upon work supported by the National Science Foundation under Grant Number AGS-1524667. Any opinions, findings, and conclusions or recommendations expressed in this material are those of the author(s) and do not necessarily reflect the views of the National Science Foundation.